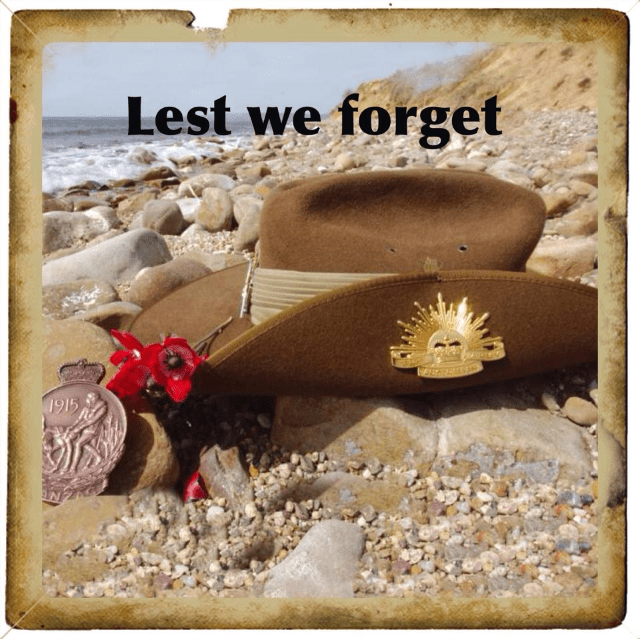 ANZAC Day, Lest We Forget – 100 years! This Saturday marks the 100th anniversary of when the Aussie diggers landed at Gallipoli. There are a lot of commemorative celebrations going on all around the world but in particular here in Australia. I would have loved to have been part of the remembrance ceremony going on at ANZAC Cove in Gallipoli, Turkey but that is not going to happen this year. Mark my words though I will take the kids there one day before they’re all grown up and doing their own thing. For now I’ll just celebrate here in Australia on the day we call ANZAC Day. I wasn’t going to do an ANZAC Day post but as I get older the significance of the day is starting to really touch me. This year I am planning on going to my first Dawn Service and hopefully at the Shrine of Remembrance in Melbourne with the other estimated 120,000! Craig is taking the kids to a local ceremony with the Scouts to march. A few years ago when we were living in Sydney, we took the kids Canberra for a Western Bulldogs v’s Sydney AFL game. 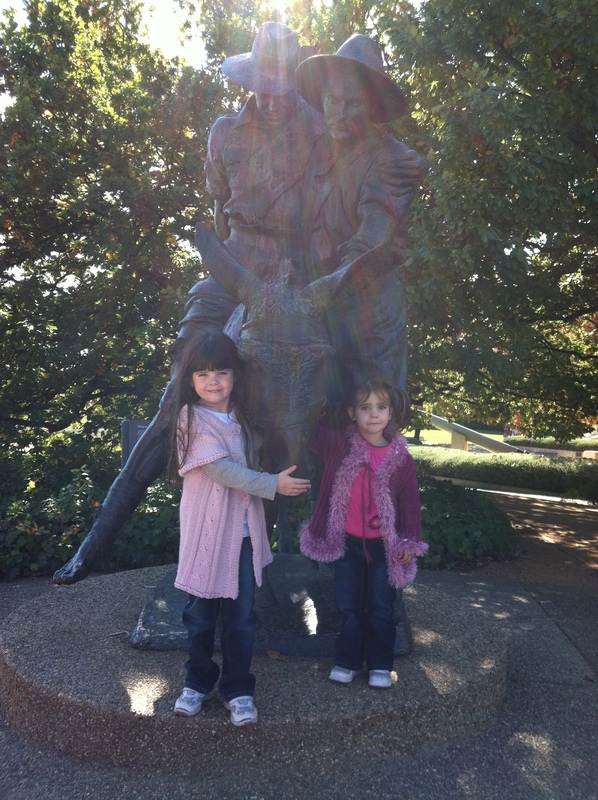 While we were there we took the kids to the Australian War Memorial. Surprisingly they were really interested and really looked at things and asked questions. I was warmed to see them take such interest in the history of our great nation and all that our predecessors did to make this great country of ours what it is today. We took the kids to the Wall of Honour. Its overwhelming the amount of names on the wall. We have our very own hero on that wall and I was honoured to show the kids my great grandfather’s name proudly etched forever on that wall to be seen by all his ancestors. I took a photo of Alannah pointing to his name, just like my mum and sister had done previously. I love this photo and she looks so young even though it was only 3 years ago. Alannah pointing to the name of her Great, great grandfather. My Great Grandfather, Private 2435 Joseph Henry Tieste was 31 years old when he enlisted in 1915 in Adelaide. He was in the 10th Battalion and went to Zeitoun, Serapeum and Alexandria in Egypt and then to Marseille in France. He was killed outside the First Aid tent at Mouquet Farm at the Battle of Pozieres on 22 August 1916. He was Acting Royal Military Police when he was killed. After 12 months of writing requests to the Army, my Great Grandmother was finally officially notified of his death. My Great Grandfather – Joseph Henry Tieste. The Australian War Memorial in France is located just outside Villers-Bretonneux and in front of it lie the graves of over 770 Australian soldiers. My mum visited once as my Great Grandfather’s name is on the wall with all the other unaccounted for soldiers. I hope one day I will be able to make it over there to see it for myself. Private Joseph Henry Tieste is on the wall on the left hand side. So this ANZAC Day and like every other one, I will be thinking of my great grandfather, as mum said ‘if it wasn’t for him none of us would be here now’. To all Aussies travelling and at home, enjoy your ANZAC Day where ever you are and be thankful for all that the Diggers sacrificed so that we can live in this brilliant country we have today but also take a minute for those that are still representing us in conflicts around the world. 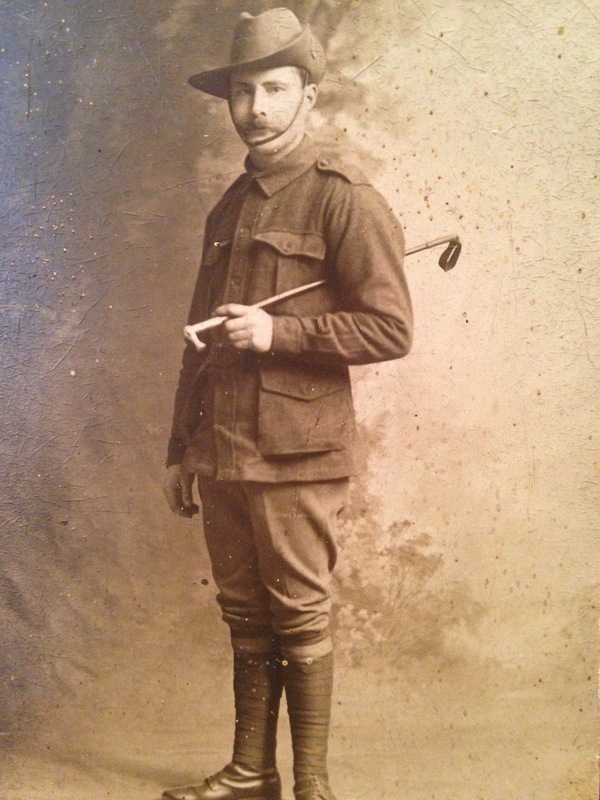 Lest We Forget – Private 2435 Joseph Henry Tieste. I’m sure the march in Melbourne will be a wonderful experience. We head to a march or ceremony every year and have found the local ones a little easier to manage with our own kids. We visited the National War Memorial for the first time this year too. It was a poignant visit, and I faced a barrage of challenging questions afterwards, but I was pleased we took our own brood. Hi Danielle, that’s great that you take the kids to a local one each year. I think as they get a bit older I will definitely start taking the kids to a local one. The forecast here for the weekend is very cold and wet so I am thinking they will not get the crowd they are expecting. I have a friend coming with me and we are going to go and have breakfast after the service on Southbank, should be nice. Enjoy our ANZAC day and I hope you have someone special to reflect on. Sally. Sally, I felt a need to share our family story this year too. Thank you for sharing yours and paying respect to all who paid sacrifice and lost their lives. Hi Lyn, we were all a bit more patriotic this year I think! I unfortunately didn’t make it to the dawn service this year as planned as I ended up working. I did make it to a local ANZAC Day parade to see my kids march with the Scout group they are in. 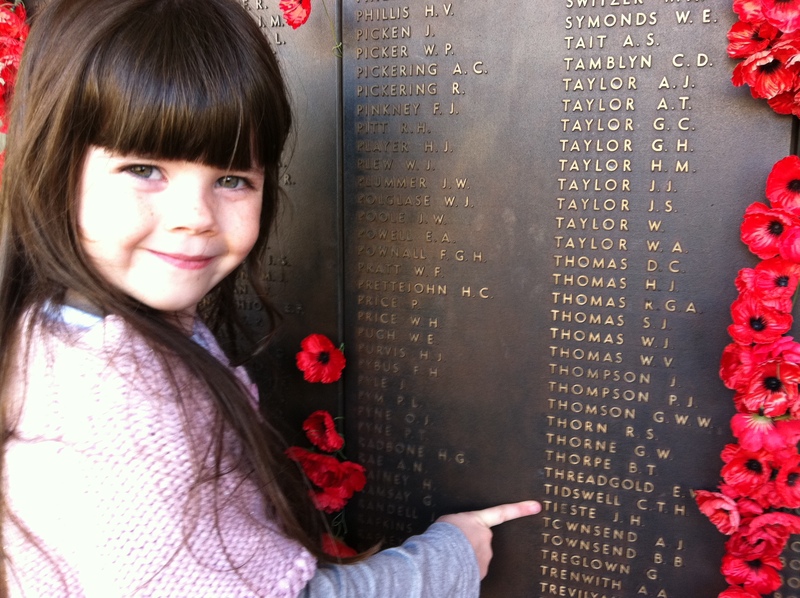 My mum took my girls to a dawn service out near where she lives. I feel all of my kids this year had a very strong understanding of what ANZAC Day is about, I’m really proud of them. Beautiful tribute and how wonderful they way your children ask and understand. I agree, that photo of your daughter pointing at your great-grandfathers name is really special. Thanks Rhonda, its quite cute listing to the way they interpret things especially my little man Caelan. The schools have also done a fantastic job also, which is great. My kids go to Scouts as well and the Scouts were present at most dawn services here.